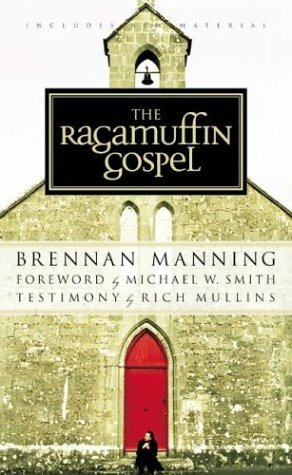 I love Brennan’s book and suspect he knows more about God and the true meaning of the gospel than most theologians. Best wishes for your future, Phil. If you want some inspiration, come to the BelPres Men’s Retreat (May 31-June 2 @ Cascades Camp, nr. Yelm). Brennan’s book got a lot of mentions at last year’s retreat. Thanks for sharing your journey Phil, it’s great to read about how you’ve been doing through this trial. Nita’s right, you’re NOT a failure — or, put another way, you might be a failure, but you are a failure that Jesus was willing to die for. That’s significant. I heard the Christian life summed up this way recently: “Christianity is the process of becoming who God says we already are” (because of what Jesus has done for us). I love that. Anyway, congratulations on your new job – I hope it goes well and that you’ll carry with you some of the lessons and wisdom you gained after reflecting on your stretch of unemployment. Godspeed! Thanks Josh. We miss you all dearly and really cherish our time spent with you and Emmy. Give our love to the fam! enjoyable read… thank you. Please let me know where you landed. Thanks! Not only have i started my own firm, but Monday I will begin working at Atilus Web Development (www.atilus.com).